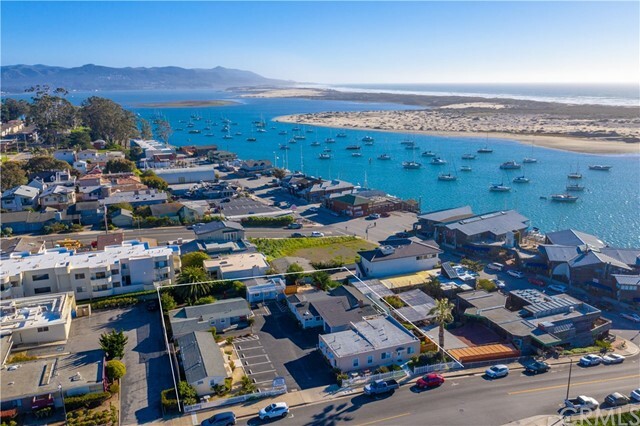 Pacific street cottages, a 5 star eight-unit residential complex overlooking picturesque morro bay harbor, embarcadero, and rock. An incredible sited parcel with 4 apns conveniently close to world-class dining, marina square, shopping, beaches, and downtown. Only a half block to the embarcadero and harbor. This eight-residence group offers a true coastal hideaway of unsurpassed natural beauty. Individually licensed as vacation rentals with increasing monthly year over year income. Immediate receivable 2019 cash flow with future booked reservations. The eight residences comprised of a triplex, duplex, two single family residences and a one-bedroom unit. All refreshed from floor to ceiling, carefully furnished, and being enjoyed daily by vacationers from around the globe. Each residence offers comfortable living, bedroom space and full kitchen. Patios, decks, and large private courtyard encourage an outdoor living environment. Three on site laundry facilities and 10 onsite parking spaces, sufficient for staff and guests needs. Zoned cvs â€“ community visitor serving, the property is primed positioned to continue as a successful vacation rental or the location invites redevelopment into a modern bayside resort. A premier partner on vrbo and superhost on airbnb. Booking. Com has recently been added to book guests. This offering has a great track record and is a growing turn-key business opportunity for those looking to invest in a legacy property with expanding future potential. Listing Agent: Frankie Ciano Listing Broker: Ciano Real Estate Inc.
Co-Listing Agent: Patrick Mulholland Co-Listing Office: Ciano Real Estate Inc.
For more information or make an appointment to see property ID SC19083813.